In this study, the role of silicon (Si) in the mechanisms developed by plants in response to adverse environmental factors (abiotic and biotic) was investigated. Silicon is taken up in the form of the anion Si(OH)4 with active or passive absorption by plants. Si accumulating in roots, leaves or husk under abiotic stress conditions prevents water stress by reducing transpiration by means of polymerizing in the form of silicic acid. Generating Al, Fe, Mn, Cd, Pb etc complexes in the soil solution with silicon reduces the potential heavy metal toxicity. The silicon increases the strength and rigidity of the plant stem increasing the thickness of the cell wall. It also suppresses reactive oxygen species (H2O2,1O2 and O3) which cause peroxidation of lipids in the cell by increasing the superoxide dismutase activity (SDA) of the leaves inducing ethylene (C2H4). It stimulates or accelerates the activation of sitinase, peroxidase, polyphenol oxidase under biotic stress conditions. Especially in the case of phytopathological diseases or entomological damages, silicon can reduce these damages forming low molecular weight compounds having flavonoids and antifungal properties in dicotyledonous and monocotyledonous plants. Bu çalışmada bitkilerin olumsuz çevresel faktörler karşısında (abiyotik ve biyotik) geliştirdiği mekanizmalarda silisyumun rolü incelenmiştir. Silisyum bitkiler tarafından aktif veya pasif absorbsiyonla Si(OH)4 anyonu şeklinde alınmaktadır. Abiyotik stres şartlarında kök, yaprak veya kavuzda biriken Si silis asidi şeklinde polimerize olmak suretiyle transpirasyonu azaltarak su stresini önlemektedir. Toprak çözeltisinde Si ile Al, Fe, Mn, Cd, Pb vs kompleksleri oluşturarak olası ağır metal toksitesini azaltır. Hücre duvarının kalınlığını artırmak suretiyle gövdenin dayanıklılığını artırır. Ayrıca etileni (C2H4) uyarmak suretiyle yaprakların süperoksit dismutaz aktivitesini (SDA) artırarak hücrede lipidlerin peroksidasyonuna sebep olan reaktif oksijen türlerini (H2O2,1O2 ve O3) baskılamaktadır. Biyotik streslerde sitinas, peroksidaz, polipenoksidas aktivasyonunu uyarmakta veya hızlandırmaktadır. Özellikle fitopatolojik hastalıklarda veya entomolojik zararlanma durumlarında Si dikotiledon ve monokotiledon bitkilerde flavonoidler ve anti fungal özelliklere sahip olan düşük molekül ağırlıklı bileşikler oluşturarak bu zararları azaltabilmektedir. Kaynaklar Agarie S, Hanaoka N, Ueno O, Miyazaki A, Kubota F, Agata W, Kaufman PB (1998). Effects of silicon on tolerance to water deficit and heat stress in rice plants (Oryza sativa L.), monitored by electrolyte leakage. Plant Prod. Sci. 1:96–103. Aktaş H, Tunalı B (1986). Türkiye’ de ekimi yapılan ve ümit var çeltik çeşitlerinin Pyricularia oryzae Bri.et Cav., Drechslera oryzae Subram. and Jan ve Fusarium moniliforme Sheld’ ye karşı reaksiyonlarının saptanması. Bitki Koruma Bülteni, 26 (1-2): 41-58. Alexieva V, Ivanov S, Sergiev I, Karanov E (2005). Interaction Between Stress Bulg. J. Plant Physiol, Special Issue, 1-17. Amarasiri SL, Wickramasinghe K (1977). Use of rice straw as a fertilizer matarial. Trop. Agric 33:39-49. Belanger RR, Bowen PA, Ehret DL, Menzies JG (1995). Soluble silicon: Its role in crop and disease managent of greenhouse crops. Plant Dis. 79:329-336. Brecht MO, Datnoff L E, Kucharek TA, Nagata RT (2004). Influence of silicon and chlorothalonil on the suppression of gray leaf spot and increase plant growth in St. Augustine grass. Plant Dis. 88:338–344. Datnoff LE, Rutherford BA (2004). Effects of silicon on leaf spot and melting out in bermudagrass. Golf Course Management, May, 89-92. Datnoff LE, Rutherford BA (2004). Effects of silicon on leaf spot and melting out in bermudagrass. Golf Course Management, May, pp. 89-92. Datnoff LE, Nagata RT (1999). Influence of silicon on gray leaf spot development in St. Augustinegrass. Phytopathology 89: S19. Datnoff L, Brecht M, Kucharek T, Trenholm L, Nagata R, Synder G, Unruh B, Cısar J, (2005). Influence of silicon (Si) on controlling gray leaf spot and more in St. Augustine grass in Florida. TPI Turf News. 3(2):30-32. Datnoff LE (2005). Plant Management Network. Silicon in the life and performance of Turfgrass. Online. Applied Turfgrass Science doi:10.1094/ATS2005-0914-01-RV. Datnoff LE, Korndorfer G, Synder G (2001). Silicon in agriculture. Elwiser Science Publishing, p.17-39, New York. Dobermann A, Fairhurst TH (2000). Rice:Nutrient Disorders & Nutrient Management. International Rice Research Institute. First edition, ISBN 981-04-2742-5, 95-98pp. Edreva A (2005). Generation and Scavenging of Reactive Oxygen Species in Chloroplasts: A Submolecular Approach, Agriculture, Ecosystem and Environment, 106:119-133. Epstein E (1999). Silicon. Annual Review of Plant Physiology and Plant Molecular Biology. 50:641–664. Gascho GJ, Korndörfer GH (1998). Availability of silicon from several sources determined by chemical and biological methods. In: Soil Science Society of America Annual Meeting. Baltimore, MD, pp. 18–22 308. Gussack E, Petrovic M, Rossi F (1998). Silicon: The universal contaminant. Turfgrass Times 9:9-11. Hodson MJ, Sangster AG (1988). Silica deposition in the influence bracts of wheat (Triticum aestivum). 1 Scanning electron microscopy and light microscopy. Can. J. Botany. 66:829-837. Hull RJ (2004). Scientists start to recognize silicon’s benefical effects. Turtgrass Trends 8:69-73. Inanaga S, Higuchi Y, Chishalci, N (2002). Effect of silicon application on reproductive growth of rice plant. Soil Sci Plant Nutr. 48(3):341-345. IRRI 1980. Organic matter and rice. International rice research institute. ISBN 971-104-104-9. Kaya C, Tuna L, Higgs D (2006). Effect of Silicon on Plant Growth and Mineral Nutrition of Maize Grown Under Water-Stress Condition. 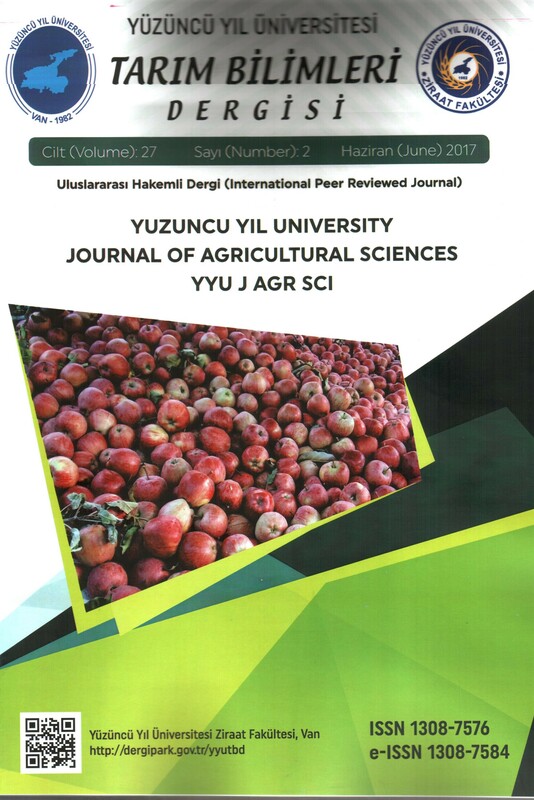 Journal of Plant Nutrition. 29:1469-1480. Kaya C, Tuna L, Higgs D, Murillo-Amador B, Aydemir S, Girgin AR (2008). Silicon Improves Salinity Tolerance in Wheat Plants. Environmental and Experimental Botany. 62:10-16. Khalid RA, Silva JA, Fox RL (1978). Residual effects of calcium silicate in tropical soils. I. fate of applied silicon during five years cropping. Soil Sci. Soc. Am. J. 42:89. Marschner H, Oberle H, Cakmar I, Romheld V (1990). Plant Nutrition-Physiology and Application. Ktuwer Academic Dordrecnt (M.L. Van Bensichem, ed.) pp: 241-249. Matichenkov VV, Calvert DV, Snyder GH (1999). Silicon fertilizers for citrus in Florida. Proc. Fla. State Hort. Soc., 112: 5–8. Matichenkov VV, Bocharnikova EA (2001). The relationship between silicon and soil physical and chemical properties. In: L.E. Datnoff, G.H. Snyder, H. Korndorfer, eds. Silicon in Agriculture. Amsterdam: Elsevier, pp. 209–219. Nanayakkara UN, Uddin W, Datnoff LE (2005). Effects of silicon on development of gray leaf spot in perennial ryegrass turf. Phytopathology 95:S172. Natoh T, Kairusmee P, Takahashi E (1986). Salt-induced damage to rice plants and alleviation effect of silicate. Soil Sci Plant Nutr 32:295-304. North Carolina State University 1997. Effecet of soluble silica on Brown patch and dolar spot of creeping bentgrass. North Carolina Turfgrass Aug/spt. P. 34-36. Rodrigues FA, Benhamou N, Datnoff LE, Jones JB, Belanger RR (2003). Ultrastructural and cytochemical aspects of silicon-mediated rice blast resistance. Phytopathology 93:535-546. Rodrigues FA, McNally DJ, Datnoff LE, Jones JB, Labbe C, Benhamou N, Menzies JG, Belanger RR (2004). Silicon enhances the accumulation of diterpenoid phytoalexins in rice: A biochemical mechanism for blast resistance. Phytopathology 94:177-183. Rondeau E (2001). Effect of potassium silicates on disease tolerance of bentgrass. Seminaire de fin d’etudes, Centre de Recherche en Horticulture, Université Laval, Québec, Canada. Saigusa M, Onozawa K, Watanabe H, Shibuya K (2000). Effects of porous hydrate calcium silicate on the wear resistance, insect resistance, and disease tolerance of turfgrass “Miyako”. Grassland Science 45: 416-420. Savant NK, Synder GH, Datnoff LE (1997). Silicon managent and sustainable rice production. Pages 151-199 in Advances in Agronomy, vol. 58. D.L. Sparks ed. Academic Pres, San Diego, CA. Schmidt RE, Zhang X, Chalmers DR (1999). Response of photosynthesis and superoxide dismutase to silica applied to creeping bentgrass grown under two fertility levels. J. Plant Nutr. 22:1763-1773. Snyder HG, Matichenkov VV, Datnoff EL (2006). Handbook of Nutrition. Silicon Chapter 19, Ed:Barker, A.V. and Pilbeam D.J. CRC p.551-568. Takahashi E, Ma JF, Miyake Y (1990). The possibility of silicon as an essential element for higher plants. Comments Agric. Food Chem. 2:99-122. Trenholm LE, Datnoff LE, Nagata RT (2004). Influence of silicon on drought and shade tolerance of St. Augustinegrass. Hort Technology14:487-490. Uriarte RF, Shew HD, Bowman D C (2004). Effect of soluble silica on brown patch and dollar spot of creeping bentgrass. J. Plant Nutri. 27:325-339. Winslow MD, Okada K, Correa-Victoria F (1997). Silicon deficiency and the adaptation of rice ecotypes. Plant and Soil. 188:239-248.